Srinath Raghavan’s India’s War is a brilliant synthesis of the history of India’s struggle for independence and the history of World War II. In most versions of the story of how India finally became independent in 1947, the impact of World War II tends to be underplayed. Conversely, in most histories of World War II, India’s role in it tends to be underplayed. What Raghavan does in India’s War is to bring these two histories together. That alone makes this an important book – a contribution to an emerging global history that simultaneously connects and challenges Western narratives centred on the war and non-Western narratives centred on decolonisation. But it seems to me that India’s War is also more than that. It can be seen as a kind of pre-history of India’s post-independence foreign policy. As such, it illuminates not just the past but the present and the future. While reading Romain Hayes’s new book on Indian independence leader Subhas Chandra Bose’s time in Nazi Germany (which I am reviewing for the Times Literary Supplement), I was struck by a quote from Hitler in one of the footnotes. In September 1941 – three months after Operation Barbarossa had begun and five months after Bose had arrived in Berlin – Hitler told his generals that “our role in Russia will be analogous to that of England in India … The Russian space is our India. Like the English, we shall rule this empire with a handful of men”. This idea of Russia as “a Germanic India” (Karl Dietrich Bracher, The German Dictatorship) reminded me of Bismarck’s famous “map of Africa” quote. In 1888, when Eugen Wolf, a proponent of a German empire in Africa, showed him a map of the continent, Bismarck is supposed to have replied: “My map of Africa lies in Europe”. Since returning from a trip to India recently (I’ve been going since I was a kid but this was my first visit in a decade), I’ve been thinking about Subhas Chandra Bose, the Indian nationalist leader who fled to Berlin during World War II in order to form an alliance with the Nazis and later organised and led the Indian National Army (INA), which consisted of Indian prisoners of war who fought alongside the Japanese against the British in Burma and Imphal. I’ve always been interested in Bose, who, it seems to me, went spectacularly wrong because although his own cause was just, he completely failed to see beyond it. In particular, he failed to see the connections between India’s struggle for independence and the struggle against fascism in Europe. 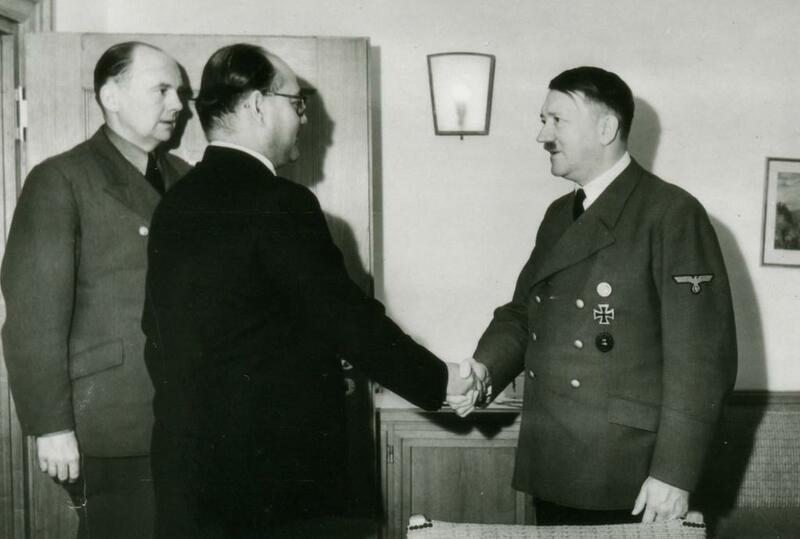 But despite his association with Nazism, Bose is still a revered figure in India. Marine Drive, the famous seafront promenade in downtown Bombay – my favourite place in the city – has even been renamed after him. These days foreign-policy analysts – including my colleagues at the European Council on Foreign Relations – talk a lot about the prospect of a “post-Western” world. The idea is that, as rising powers like China and India emerge, the West is losing its dominance in global affairs. In some ways, this de-centering of the West may be no bad thing – in particular, it may lead to a more equal world. But because countries like China and India will also inevitably have different ideas than the West about how the international system should be run, the transition to a post-Western world will be more than just a redistribution of power from west to east. So what will happen to the idea of the West – the normative project about which Heinrich August Winkler writes? In other words, as the economic and political power of the West declines relatively, will the ideas that have emerged from it – and which inform the values for which it stands – also lose their traction? Does it matter if they do?